Ian M. Ross was president of AT&T Bell Laboratories. A native of Southport, England, Dr. Ross received his Bachelor's degree in electrical engineering from Gonville and Caius College of Cambridge University in 1948. He received his M.A. and Ph.D. degrees in electrical engineering from Cambridge in 1952. He then joined Bell Laboratories, where he became engaged in the development of a wide variety of semiconductor devices. In 1959 he was named director of the Semiconductor Laboratory. Three years later he became director of the Semiconductor Device and Electron Tube Laboratory at Allentown, PA. In 1964, Dr. Ross was appointed managing director of Bellcomm, Inc., a Bell System subsidiary which provided systems engineering support for the Apollo manned space flight program. He was elected president of Bellcomm in 1968. Dr. Ross returned to Bell Laboratories on January 1, 1971, as executive director of the Network Planning Division. He became vice president of Network Planning and Customer Services in February 1973. In May 1981, he was elected to a Fellowship in the American Academy of Arts and Sciences. He was elected to the National Academy of Sciences in April 1982. Dr. Ross is a Fellow of the Institute of Electrical and Electronics Engineers and was elected to the National Academy of Engineering in April 1973. In May 1981, he was elected to a Fellowship in the American Academy of Sciences. In 1963, Dr. Ross received the Morris N. Liebmann Award (now the IEEE Daniel E. Noble Award for Emerging Technologies) from the Institute of Radio Engineers, now part of the IEEE. In 1969 and 1975, he received the Public Service Group Achievement Award from the National Aeronautics and Space Administration. 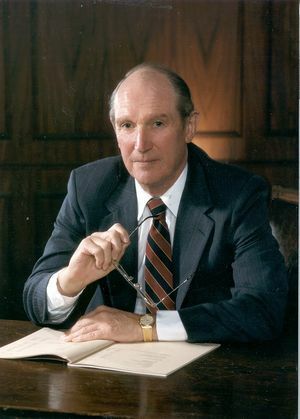 In 1987, he received the Industrial Research Institute Medal, and the Distinguished Service Award from the National Society of Professional Engineers. Dr. Ross is a member of the Board of Directors of Sandia Laboratories. He also serves on the Boards of Directors of the B.F. Goodrich Company, and the Thomas and Betts Corporation. He is a member of the Board of Trustees of The Robert Wood Johnson Foundation and the Foundation of the University of Medicine and Dentistry of New Jersey, and of the Board of Overseers of the Foundation of the New Jersey Institute of Technology. He is also a member of the Board of Governors of the National Space Club. Dr. Ross and his wife, Christina, live in New Jersey. They have three children. Among his leisure activities, Dr. Ross includes golf and reading. Dr. Ross was awarded the 1988 IEEE Founders Medal "For distinguished leadership of AT&T Bell Laboratories guiding innovation in telecommunications and information processing." This page was last edited on 28 January 2016, at 19:20.